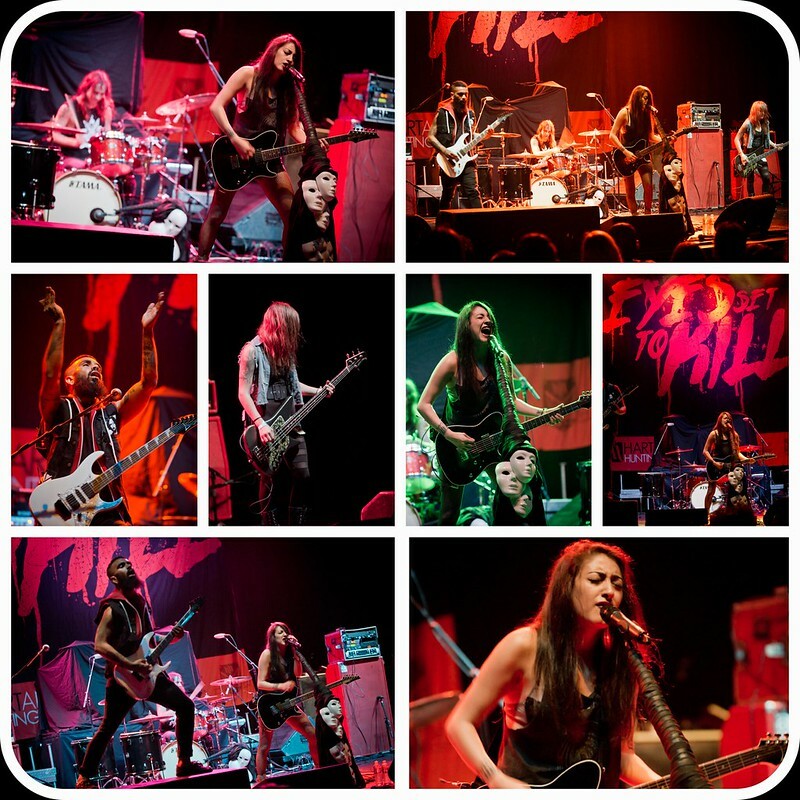 Eyes Set To Kill performs at The Wiltern. Eyes Set To Kill performed last week at The Wiltern, promoting the release of their new album Masks which dropped Sept. 17th. It's their fifth studio album and first with Century Media Records - a label who allowed them to make the record they wanted to make. What they came up with was a harder, no-holds barred sound. Lighting quick with thunderous beats and heavy guitars leave no room to catch your breath with lead vocal trade-offs between Alexia Rodriguez's soft but deadly to Cisko Miranda's killer yet piercing vocals.